The S5 carbon fiber bow is very popular among serious cellists who put emphasis on high performance at a most reasonable budget. 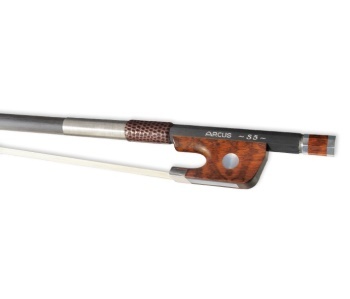 Any kind of music, from baroque to modern can be performed perfectly with this bow. Its sound is rich in overtones and pulls a bright sound that is a perfect match to all large and rather dark sounding instruments. The round stick give it a very steady feel. assembly: silver 935 eye: pearl coil: silver weight: ca. 68 gr.